My belief has always been that a police department cannot investigate itself. A death of a citizen while in police custody should not be investigated by the same law enforcement agency whose officers were involved in the arrest. That also goes for allegations of misconduct and or corruption in any law enforcement organization. Just today, we learned that an additional stop of the transport vehicle had occurred. Why was that not known earlier? What did the transport officer write in his report? This was reportedly uncovered by another video that surfaced. How the police found out about that video is not exactly known. But what this does is question the veracity of the police. It makes the public think, what else don’t we know and what else will surface from other sources that may contradict the police version of events? 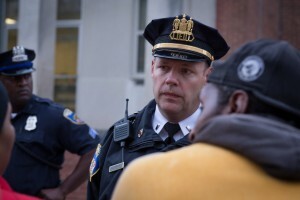 To the public it may appear that the police were not being truthful and this will lead to more distrust and further agitate the situation in Baltimore and other cities. Freddie Gray is apprehended by police April 12. He died April 19 after sustaining injuries while in police custody. Gray’s death may have been the result of a criminal act, negligence or an accident. Gray was not belted in to the transport vehicle and may have sustained his injuries inside the vehicle. If that was the case then the police were negligent in their duties. The residents of Baltimore want some answers. This leaking of bits of information here and there and reports from news services of unverified anonymous statements only fuels the tempers of those that want some answers and lends credence to the notion that something is not right in the investigation. What also concerns me is the video that shows Gray being assisted over to the transport vehicle. He appears to be in distress and his legs appear to be limp. He does not appear to be resisting so why are his legs dragging beneath him? The state’s attorney should bring all the witnesses before a grand jury. I think that has to be done. But even that raises the issue of a conflict of interest, both personally and professionally for the state’s attorney. It may be best if the Maryland Attorney General’s office empower a special prosecutor for this case. When you are questioned during an interview you are not under oath. Inside a grand jury you are. It is a whole different ball game. If you perjure yourself you could face criminal charges and prison. We need to see the arrest report on why Gray was arrested in the first place. What do the autopsy reports indicate? I would question The Washington Post report that the prisoner inside the transport vehicle reportedly said he heard banging. I thought I heard two weeks ago that he said nothing happened inside the vehicle. If Gray had been banging his head and body against the interior of the vehicle there should be some type of trauma on his body, especially if the force was so great as to sever his spine. When someone dies in police custody, the initial reports completed by the police officers become critical. Every single officer that had any interaction with Gray from the start of the chase to the placing of him into the transport vehicle and up until the time that they called for medical response, should have completed a thorough detailed account of their involvement. That is normal police procedure. The Maryland Police Officers Bill of Rights is also coming under scrutiny. Why should police have a two bill of rights when ordinary citizens have only one? That question is also being asked. Should not the Constitution of the United States be good enough for all citizens? This investigation should of been turned over to the Maryland State Police from the start. With everything that has occurred in this country over the past several months, to show the public that the investigation will be impartial, non-biased and transparent. 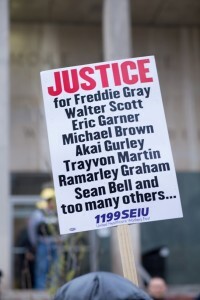 The death of Mr. Gray while in police custody should not have been investigated by the Baltimore City Police Department. As I stated at the outset, I don’t believe that a law enforcement agency can investigate itself. Some believe differently and say a police department can investigate itself. If that were true then there would be no racists cops, no corruption and no misconduct on any police force. But the fact is cops don’t want to break the blue wall of silence, not because they themselves are bad cops, but they know what will happen to them if they do. History has shown us that police do cover-up incidents, that is fact not fiction. Corruption in law enforcement exists because cops don’t want to talk about what they see and what they know for fear of retaliation or worse.